Sand dams represent a simple, low cost and low maintenance method for water conservation, especially suitable for semi-arid regions. They can retain rainwater and recharge groundwater. A sand dam is essentially a wall, which is built in stages across and into a seasonal sandy riverbed. It is most commonly made out of steel reinforced concrete, rubble stone masonry or earth. Its life span can be up to 50 years. By implementing sand dams, local communities are provided with a clean and reliable source of water, even during periods of drought. 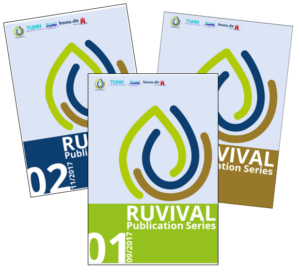 Seasonal rivers form during rainy seasons and carry soil downstream. This soil is mostly made up of sand, the heavier part, and silt, which is lighter. The heavy sand accumulates behind the sand dam, while the lighter silt washes downstream over the dam. Up to 40 % of the retained volume is actually water, which is stored between sand particles. The dam usually fills completely within one to four rainy seasons. Sand dams are most common in Kenya, but actually they have a significantly broader geographical range of application than has yet been explored. 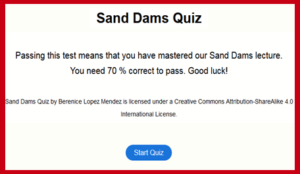 Examples of sand dam structures exist also in Brazil, Ethiopia, Angola, Zimbabwe, Burkina Faso and India. 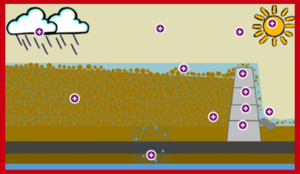 Learn more about sand dams in the elements below. 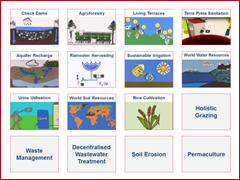 For more on rainwater harvesting, please check out our Toolbox elements rainwater harvesting and land-based rainwater harvesting. 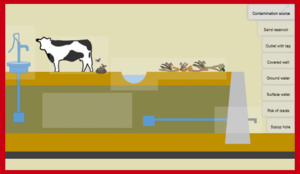 Aquifer recharge provides you with knowledge on how depleted groundwater sources (aquifers) can be restored. 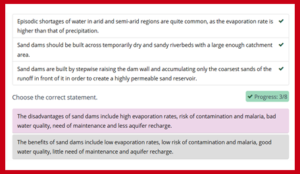 Additionally in the Toolbox, you can also learn about another type of dam structures, check dams, which serve to reduce erosion, by lowering water speed and accumulating sediments during floods.